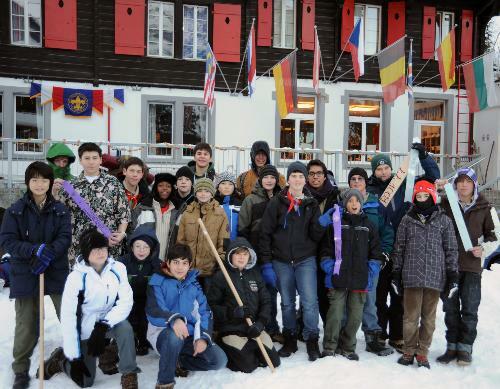 On the weekend of the 17th of March, the merit badge fair took place. 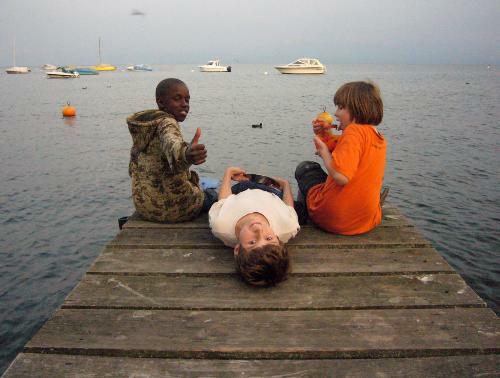 We (the scouts) travelled to Genolier, not very far away from Geneva and Nyon. 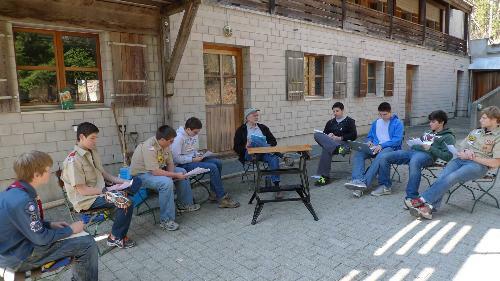 On Saturday, we got there around 8:30 and started working on their first merit badge until lunch. 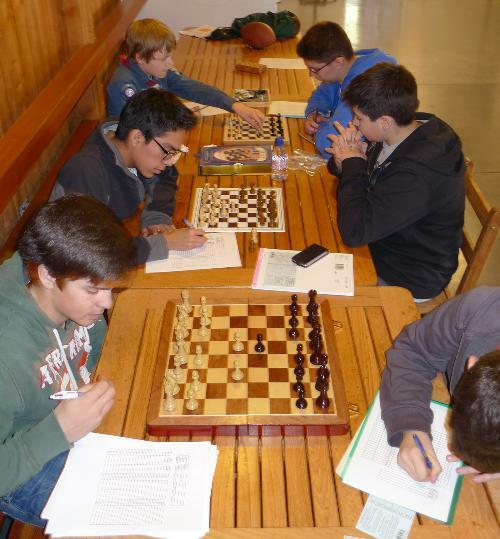 The merit badge options this year were First Aid, Personal Management, and Chess (a new merit badge) during the first session. 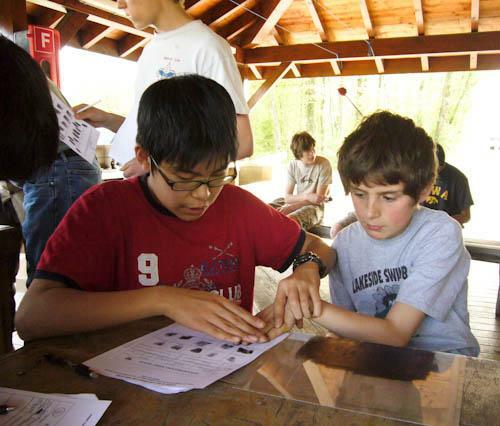 After lunch we worked on the second merit badge (some worked on first aid for two sessions, but others were able to work on Coin Collecting or Home Repairs). 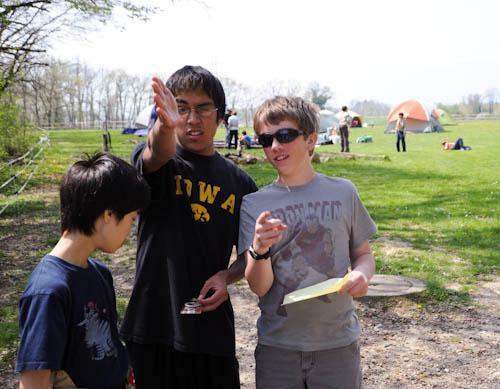 After, most of the scouts stayed outside playing capture the flag, and lingered around till dinner. Dinner was hot dogs with delicious mac and cheese, prepared by the Mario Bothers. After a filling meal came the dessert. Waffles, strawberries, ice cream, dessert was very good. 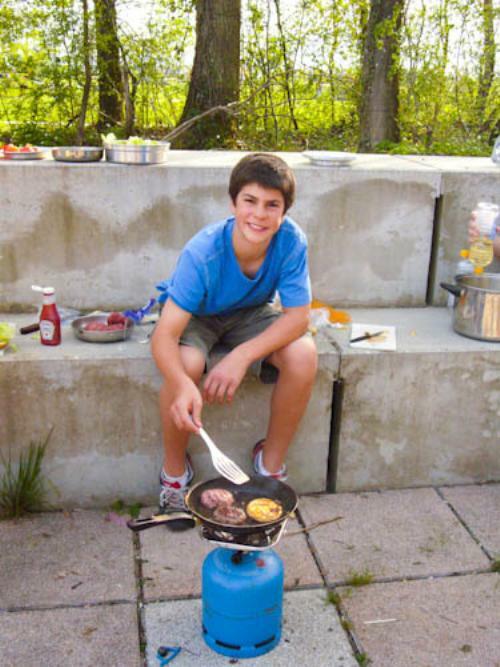 Next morning, we cleaned the chalet after breakfast and then started the third merit badge session (Family Life, Public Speaking, or Architecture). By the time the sessions finished, it was around noon and it was pouring outside. We had to wait a few minutes for the train but still got back to Geneva (Nyon for some) for lunchtime. This was a very fun campout. This year’s theme was Sunny At The Beach, with challenges representing a good time at the beach. 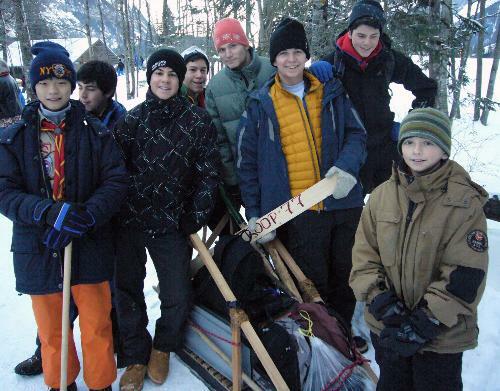 This year saw a repeat of 2008 with the Troop taking first place in this Council wide event. This year was different than any other year. 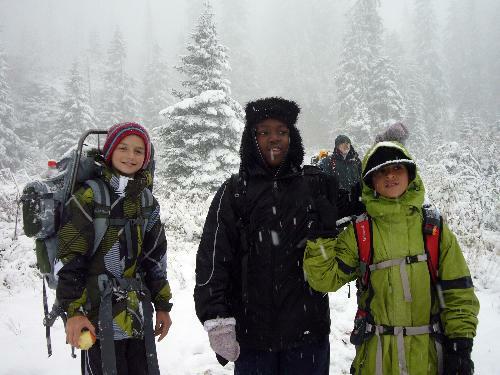 We had the pleasure of snow. 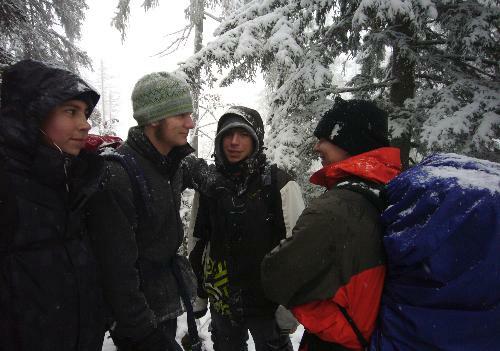 Started up the path in a very light rain, which turned to a light snow as we increased in elevation. 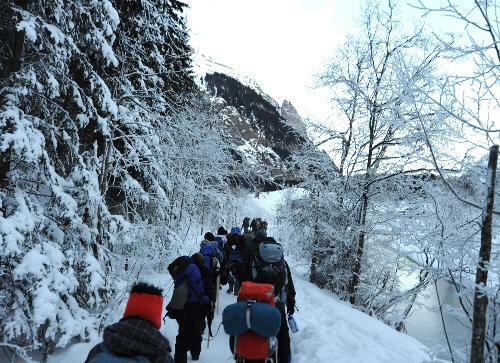 Eventually we found ourselves hiking through 20cm of snow. 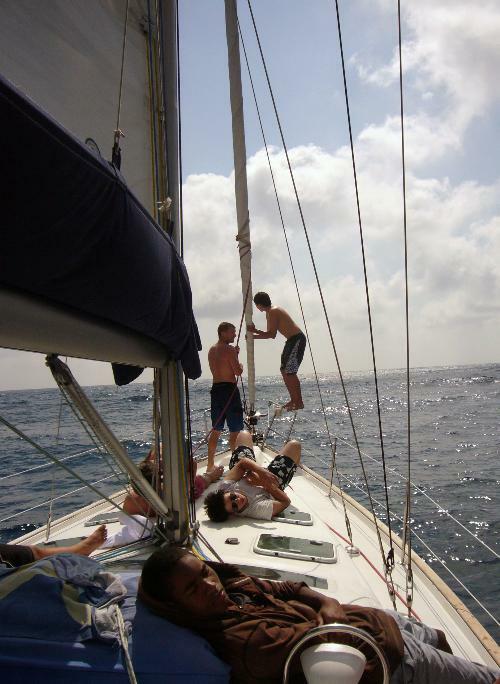 Summer Camp 2011 saw us head towards the Med. We camped in a wonderful campsite in Finale Ligure. The first few days saw us hiking through the coastal hills, visiting the small towns in the area, and savoring local delicacies in the gelato shops. 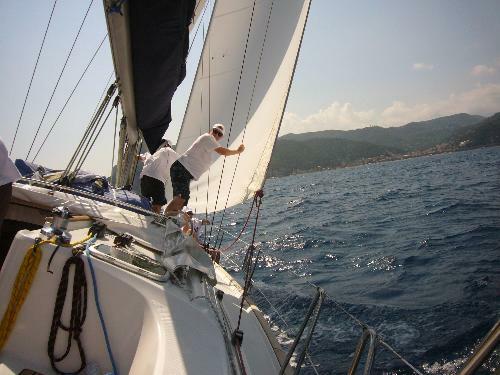 After that it was onto sailing the blue waters of the Northern Med. 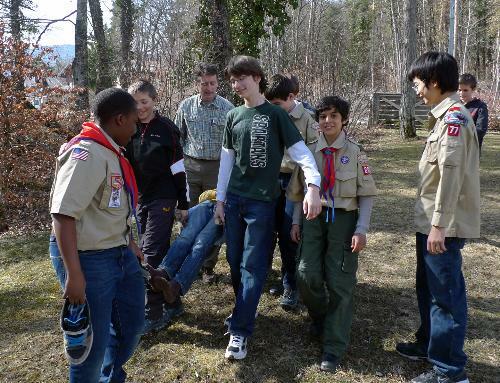 On the off time we spent working on Lifesaving and Forestry merit badges. 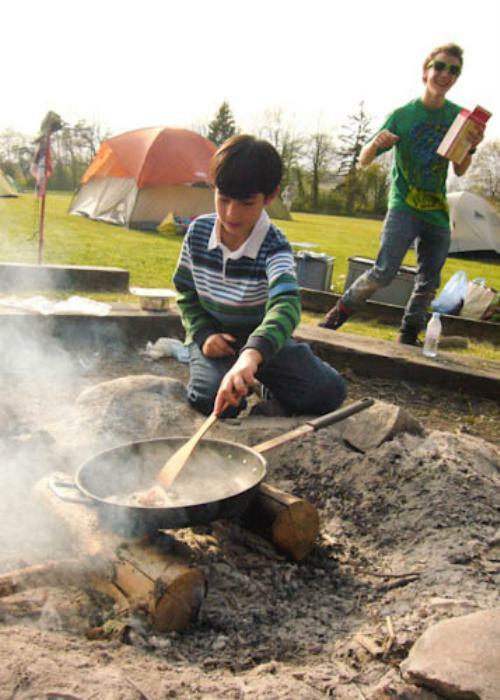 Nearby to downtown Geneva, the Swiss Scouts have a wonderful area that can be used for a weekend campout. 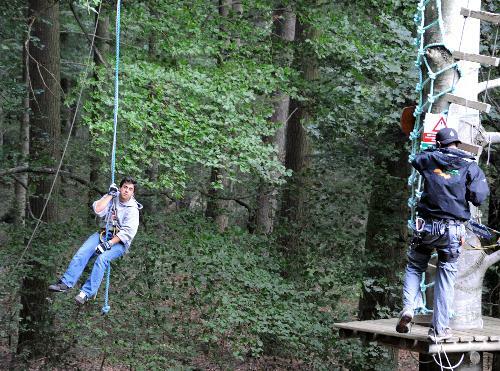 In September we had the first activity of the season, we went to a tree course in Signal de Bourgy. This was great fun. The course was made up of at least six different 'trails' to choose from, all varying difficulty. Some proved to be quite challenging.